We offer the best in OBD Key programming tools. We offer various tools from IEA Zed FULL, Xtool & TDB1000. The TDB1000 brings the complicated key programming systems and operations together, with detailed technical information and support, to make the process simple and easy to complete. With support from our web site and applications the TDB1000 puts together all the information required to make locksmithing and advanced workshop key programming simple and affordable. 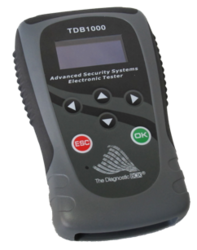 The TDB1000 is designed and manufactured in UK (England), and has a technical support team to support the product now and in the future giving you the confidence that this is the right choice. We are offering Xhorse VVDI2 Basic Key Programmer to our client and our product is made of good quality plastic materials. 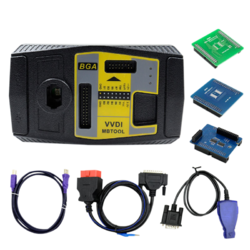 With VVDI2 basic, you can perform all EEPROM KEY PROGRAMMMING functions for more than 100 different car models. 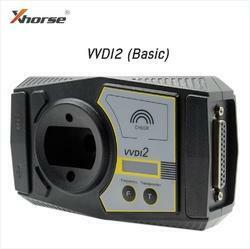 The VVDI MB BGA Mercedes Key Programmer from XHorse is the latest key programmer for Mercedes Benz. It will allow you to program new keys to your customer's Mercedes without the need for desoldering/resoldering. Features frequent online updates, supports Mercedes Benz keys, reading password and preparing a new key via IR. Mainly used for key reading and writing, EIS tools, password calculation, key file preparing, ESL tools, ECU/Gearbox renewal, and many more special functions. Includes the original Xhorse VVDI MB BGA Tool Mercedes Benz Key Programmer BGA Calculator. Features frequent online updates, reading Mercedes passwords, preparing a new key/remote via IR, and more necessary functions for Benz key programming.